With summer in full effect, there is nothing quite like spending time in the sun. We get our much needed dose of Vitamin D, we get a tan and we just look better. However, the sun delivers harmful UVA and UVB rays that cause skin cancer, sunburn and various other disorders. Finally, thanks to the HelioTent, we have the world’s first intelligent sun shade that protects your skin, this is no longer a problem. The benefits of using the HelioTent are vast and it comes as no surprise that this invention has won numerous awards. Because the HelioTent filters out the harmful sunrays, it is the perfect solution to keep your kids healthy and happy. 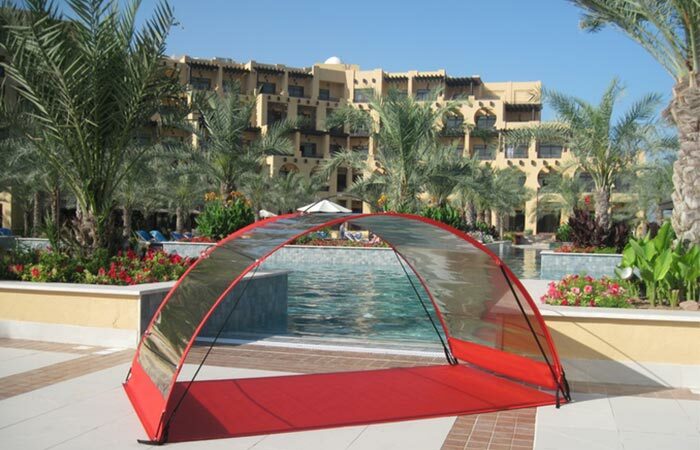 The HelioTent utilizes an incredible technology called the HelioVital Sun Filter. The HelioVital sun filter is extremely specific and it works by filtering out harmful sunrays while still delivering all of the essential, healthy rays that your body needs. By filtering out both the UVA and UVB rays while still letting the good rays through, the HelioTent allows your skin to absorb all the good rays without any of the negative side effects.. Check out the video below. Not only does the HelioTent look good but it has been proven to be cooler while still giving you all the benefits of being in the sun. 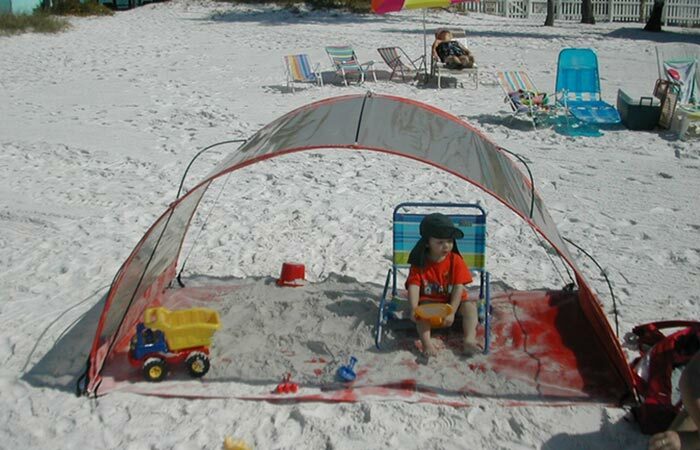 The HelioTent is extremely easy to use and has enough area for two adults or three kids. The HelioTent’s floor measures in at 82.5” long and 49.6” wide and the entire tent is contructed out of Oxford 420D Premium Polyester while the bottom is coated with PVC. So, if you are a sun-lover, we highly suggest that you get out there and order your HelioTent now so that you can maximize the summer benefits.